Gaijin Entertainment has announced an exciting new addition to their WWII MMO mega-hit War Thunder with the introduction of its revenue share initiative. Back in April, War Thunder players got the ability to design, upload and share missions, skins, new planes and tanks on the community driven hub War Thunder Live. This user-created content was playable only on local PC. Beginning from Update 1.43, some of these players will be able to earn currency from their created designs. Gaijin Entertainment is going to pick the best user-created content and integrate it into the game, making it available for purchase to all War Thunder users. Players successful enough to have designs incorporated into the revenue share initiative stand to earn up to 25% of the adjusted gross revenue from any sales their content make, less taxes and other applicable fees. 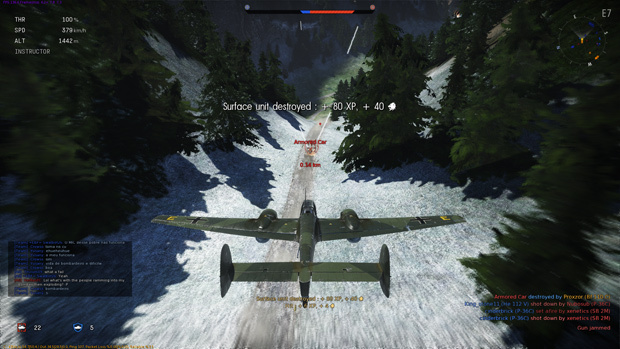 “Empowering our players with the ability to create, share and earn through War Thunder Live exemplifies the dedication and passion of War Thunder’s fantastic player base, encouraging our community and fans to contribute to the game via this initiative can only make the game a richer and more rewarding experience for players everywhere”, – said Creative Director Kirill Yudintsev.